LITTLE RED RIDING HOOD from "Brothers Grimm" ONCE upon a time... in the middle of a thick forest stood a small cottage, the home of a pretty little girl known to everyone as Little Red Riding Hood. One day, her Mummy waved her goodbye at the garden gate, saying, "Grandma is ill. Take her this basket of cakes, but be very careful. Keep to the path through the wood and don't ever stop. That way, you will come to no harm." 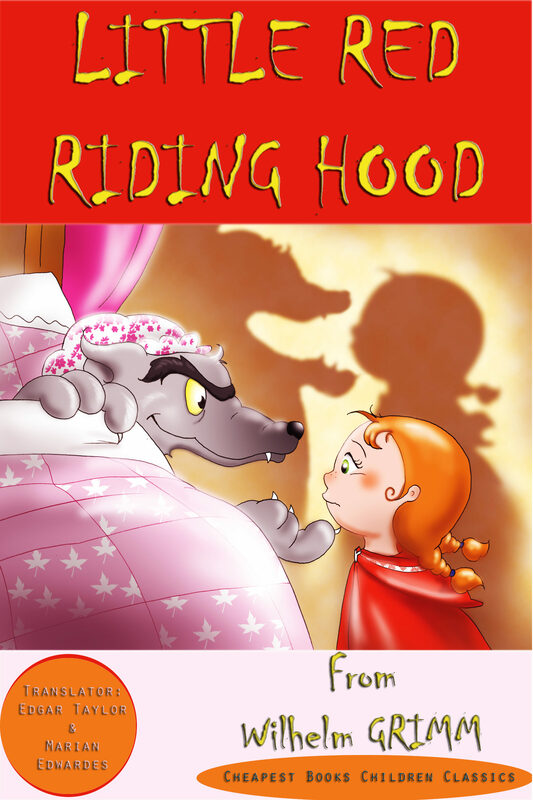 Little Red Riding Hood kissed her mother and ran off. "Don't worry", she said, "I'll run all the way to Grandma's without stopping". Full of good intensions, the little girl made her way through the wood, but she was soon to forget her mother's wise words. "What lovely strawberries! And so red...". Otros ebooks de WILHELM GRIMM.